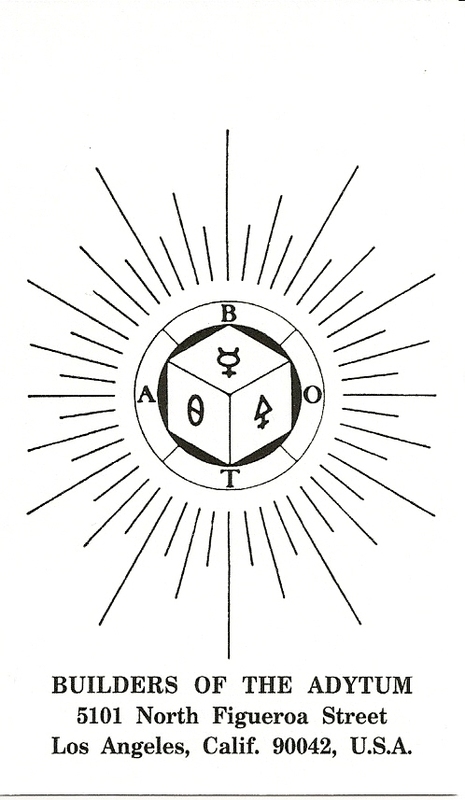 Paul Foster Case, an American occultist influenced by The Order of the Golden Dawn, founded in 1922 the "Builders of the Adytum". “Adytum” is Latin for “Inner Shrine” or “Holy of Holies” and “Builders” refer to the emulation of the Carpenter from Nazareth, Jesus, who some members of the B.O.T.A. believe was adept in the mysteries of building a living temple without hands. 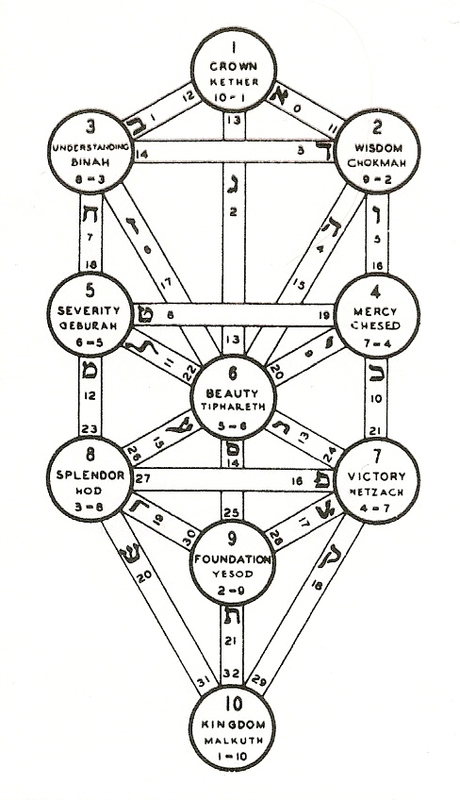 The major arcana of this deck was first published uncolored in the original edition of Paul Foster Case's introductory work, "The Tarot: A Key to the Wisdom of the Ages". 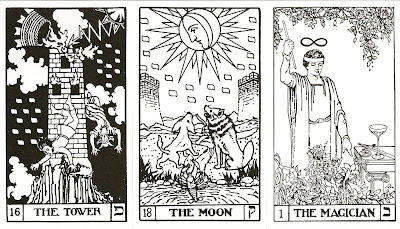 The cards based upon the interpretations of Paul Foster Case and were drawn by Jessie Burns Parke. 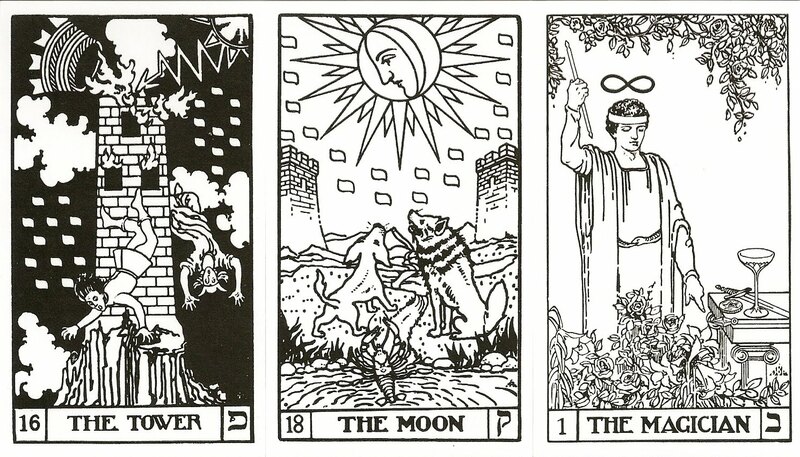 Some of the cards are similiar to the Rider Waite Cards, such as The Fool and The Moon, others are entirely different, such as Death and The Sun. The pip cards in this deck do not have descriptive pictures as do those in the Rider Waite Tarot. The backs of the cards have a symbol in the center and the B.O.T.A. address printed at the bottom. The cards, themselves, were printed on a stiff, card stock type of paper, with sharp corners and no lamination. It is obvious that these cards were created for use in a coloring class, rather than for use as a divination tool for any extended period of time. The Builders of the Adytum Tarot is printed in black and white only and is intended to be coloured by the user. 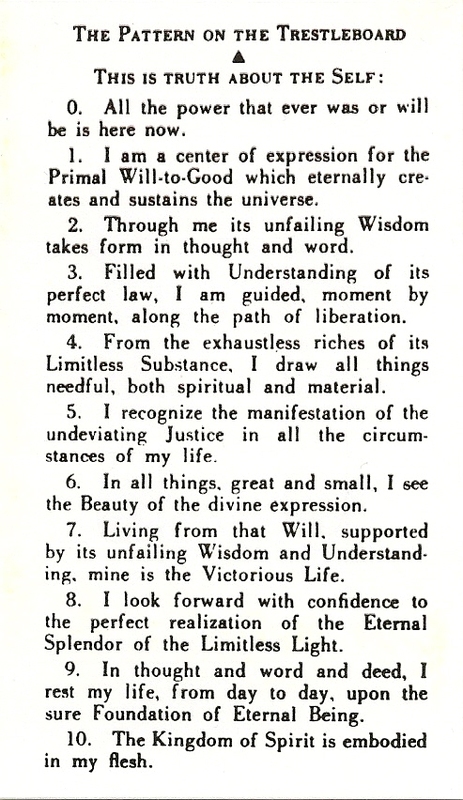 With the deck came an instruction booklet called " Highlights of Tarot", written by Case, which is describing the cards and giving coloring instructions. There were two extra cards, one with the Qabalah tree of life and the other with some text. The deck was originally published 1931, with numerous subsequent reprintings. Mine is the Fourteenth Edition from 1989. The complete deck as a zip-file and the coloring instructions can be found for free there.